Your current job can be the best launch pad for your dream business! You can start your dream business – at your current job! 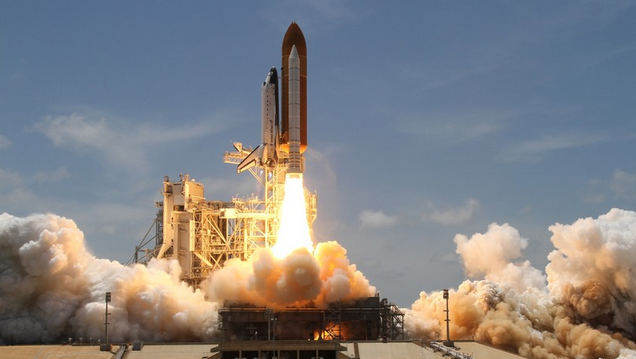 Here are six reasons why your current job is the best launch pad. Right now, in your current job, you’re being paid, right? This means your dream gig does not have to make money next week! You can test your business plan, and develop an entrepreneurial mindset while you are in the flight simulator. You have a business plan, right? You have a full-ride scholarship to the School of Value. Seriously, the reason you have a job is to deliver value to people. Having your own dream business is all about anticipating the needs of others and meeting them with your brand of value. Are you in a work-rut of just showing up and following orders? Consider this – if you can not see the opportunities to bring more value in your workplace, you would not see them in your own venture. Your current job is knee-deep in opportunities that intersect with your talents. School of Value beats the School of Hard Knocks, every time. There is no better place to take risks than your current job, and no need to postpone the learning process – which always includes mistakes! Risk by testing ideas. Risk by testing your super powers, on a micro-scale. Risk by helping coworkers in the area you dream of serving. How about financial risk? The expectation of a weekly paycheck is not the norm in history. And your dream job will probably operate more like a farm than a factory. Learn to plant and water the seeds you sow and not expect an immediate harvest. Start wrapping your brain – and your faith – around the risks and rewards associated with your dream. You have a network at your current job – and these people can not get away from you. One of the best ways to grow in building relationships is to simply ask questions. Almost everyone, including the grumpy boss, loves to be asked questions about themselves and their work. For example, in your own venture, you will be selling or marketing in some way. Ask successful sales and marketing people what works for them. Ask seasoned leaders what they have learned about building a team and how they deal with challenges. You will be surprised how much you will grow, and see relationships become healthier. Can you name your top-two energizing abilities? You know, work that does not feel like work for you and personal interactions that fuel you? Where can you be intentional with these unique talents? Does your dream involve speaking in front of groups? How about project management and organization? Do more of that –now! Choose extra-mile projects that align with your abilities. You have a personal brand. Right now. So take a brutally honest look at your brand in your current job. When you left that meeting last week, what do you think was said, or thought, about your contribution? Be honest about the positive and the negative. You can re-brand yourself in the universe of your current job. Yes, it is challenging. But if you can re-position yourself in your workplace, you can launch your dream from a position of strength. You already have your own business – it is disguised as your job. They hire you every day. Try this mindset on and see how it prepares you for a successful 2016 – and maybe your own business. You should try this man's effective sales pitches!